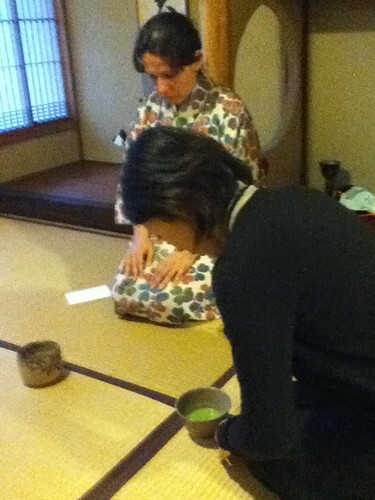 I took part in Tea ceremony yesterday. This was the first time for me, actually. 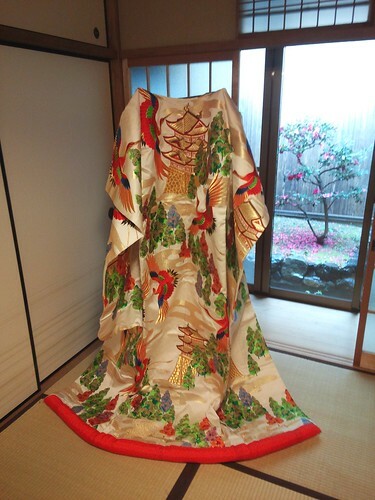 To tell the truth, I had not been interested in such Japanese culture, which feels like some strict and old, but sometimes like a show.. However, my impression has changed a little. 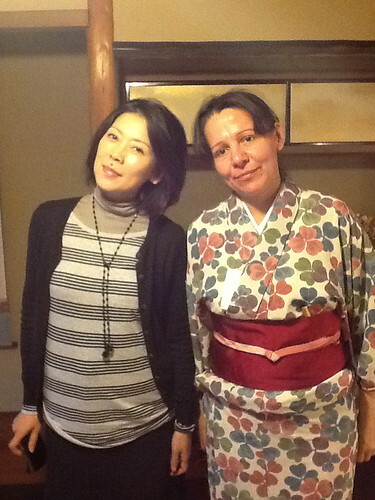 This time’s organizer was female tea master, ms.Yayoi. After lunch, finally the ceremony started. Take a look the photos above. Our face looked different from lunch time! Time for quiet and solemn had started. 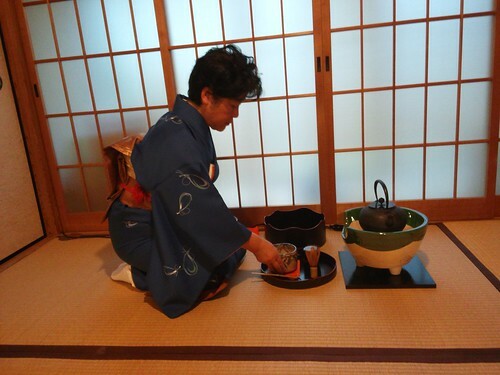 The sound I heard was only one that Ms.Yayoi prepared the ceremony, such as pour hot water in the tea pot, making matcha tea… very quiet. I tried making matcha tea. It was difficult to make beautiful color with light green with white and fine bubble surface. It was good experience indeed. After finishing all, I was full with gorgeous bento, two bowls of matcha and two kinds of sweet for matcha! 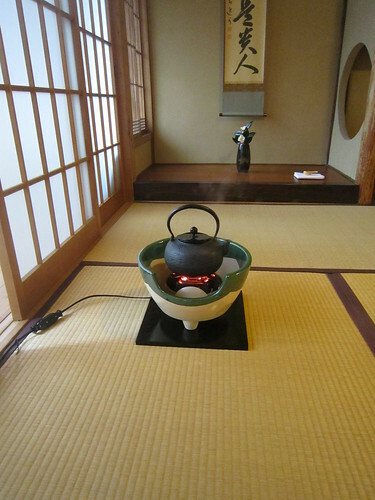 Of course not only stomach but also my eyes were satisfied with beautiful display of the tea room, sophisticated Japanese garden, beautiful tea bowls, beautiful looking of Japanese sweets. Yes! That was omotenashi-no-kokoro, welcoming mind. (I think another translation is better! 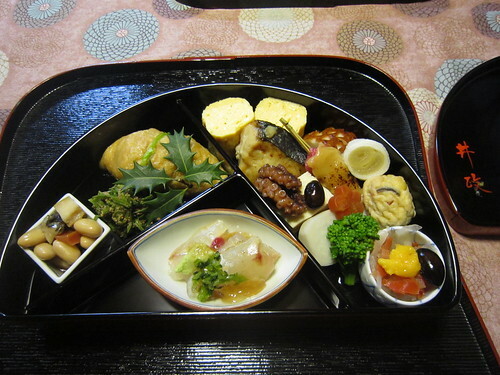 ), particularly is looked in Japan, such as in hotel, ryokan etc. And I could be relax with very different space and atmosphere from my everyday life. 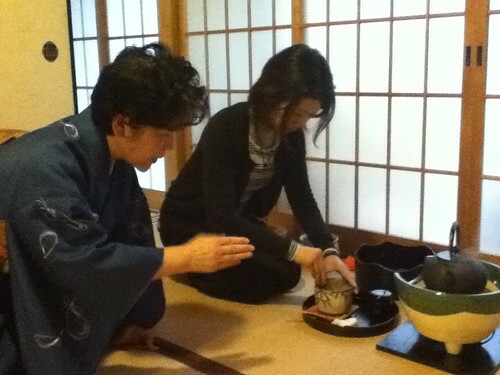 I thought it would be nice if I have a chance of tea ceremony in a few months. Every month is too much for my legs, however!